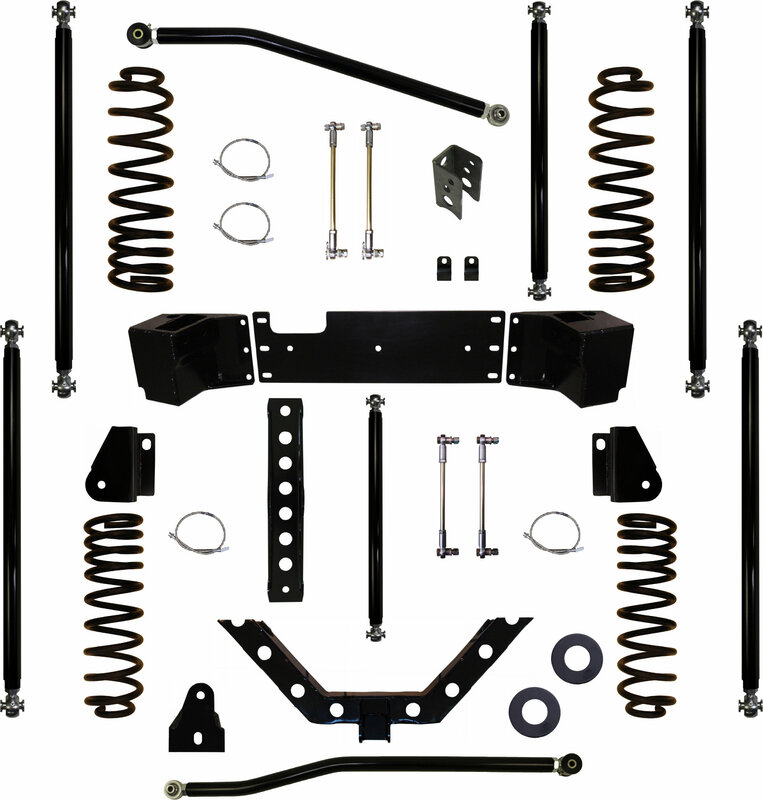 The JK 3.5" Off-Road Pro Long Arm System is a race inspired system designed to take abuse. As JK's get older in years, they are getting wheeled harder and harder. The Off-Road Pro Systems are designed to minimize wear points while taking that punishment! As few as possible OEM mounting points have been used with this system. All ends of the control arms feature our Pro Series Krawler Joints so there are no bushings to break down from punishment. 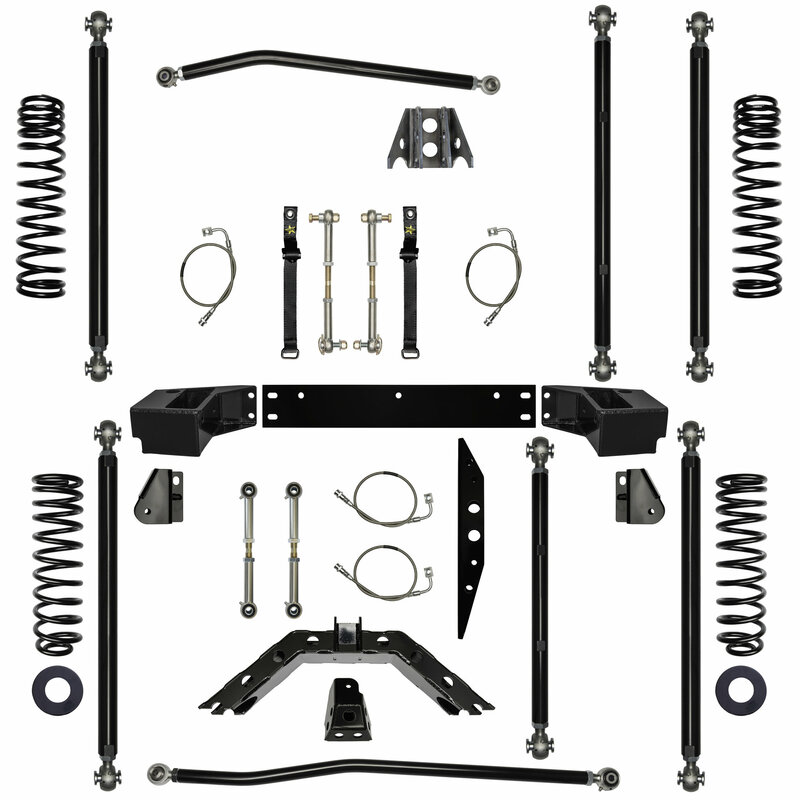 The suspension geometry features our tried and true independent 3 link design front and rear. There are no natural binding points, so the suspension cycles perfectly smooth. No system on the market today is ready for racing or absolute punishment like our Off-Road Pro Long Arm System.